Irrespective of the reason you are in Bakkhali, this seaside town can be an amazing destination to visit. Bakkhali is the perfect destination for the nature lovers who want to spend some time in peace, serene and quiet place. Bakkhali is situated on one of the galore of deltaic islands spread across southern Bengal. Most of the islands are part of the Sunderbans, excluding a few at the fringes. Some of these are linked with bridges over narrow creeks. This petite island juts out into the immense expanse of the Bay of Bengal. This small island juts out into the vast expanse of the Bay of Bengal. Our hungry-for-holiday souls set out again in search of a weekend hideout from Kolkata and we chose Henry Island and Frazergunj. During the train journey, the lush green fields on both sides of the road was a real treat for our eyes. What we experienced in this journey was something amazing and unique. The highlight and excitement of the journey is the crossing of the Hatania – Doania River. Bus and other vehicles are transported by a vessel across the narrow but swift streaming river. But there is no connecting bridge this is the only huge barge that operates between the banks to transport vehicles. You may drive your car to the barge, sit inside it and the barge shall take you to the opposite bank. Huge size lorries and buses are also transported in the same manner. It is a memorable experience sitting inside the vehicle and floating on the river. The creek is a narrow one, just about a hundred meters or so, but is substantially deep allowing the movement of ships from Kolkata to ports in Bangladesh. The creek reduces the journey-time for the ships though construction of a bridge across the creek is undergoing now. Though a costly proposition, the bridge is not an ordinary one. The ferry service is available from 7AM-9.30PM except from 12 noon till 1:45 PM (lunch hour). Once you cross to the other side of the river, you have to have a driving force of another 25km of a smooth ride through the NH117. This stretch is so smooth enough to drive at almost 100kmph. 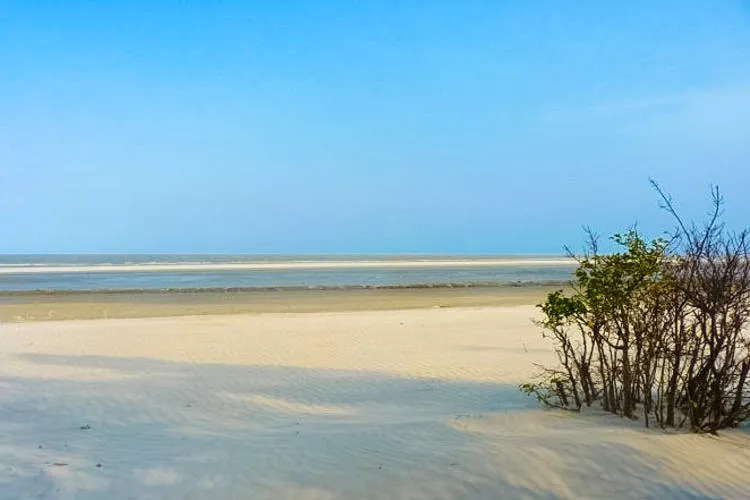 Located on the western edge of the Sundarban and about 130 Km from Kolkata, Henry’s Island is fast developing into in West Bengal’s favorite Beach Resort. Crisscrossed by numerous rivers and rivulets Henry’s island offers an interesting mix of beach and mangrove forest. It is one of those islands which open up into the vast expanse of Bay of Bengal. It takes about 30-40 mins to reach Henry Island by car from the bus stop. The road to Henry island meanders through locals villages and agricultural fields and we reached there after a short drive through the mangrove forest. SUGGESTED READ: I have a detailed guide on places near Kolkata for a day trip or looking for a nice weekend trip with your loved one. Titled after a British surveyor, who survived in this region about a century ago, Henrys Island is one of the many islands that form the Ganga – Brahmaputra delta, the largest in the world. A kilometer long narrow Bernard Road connects Henry’s Island to NH117. The road meanders through agricultural lands and Henry’s Island is reached on crossing a creek, where the marvelous laid garden welcomes you to the Mangrove Resort. The island was just an extension of the Sunderbans which the surveyor could not have dreamt that it would become a human habitat in another hundred years. During the 1980s the Fisheries Department of Bengal took the initiative of refining Henry’s Island into a tourist spot. Several ponds were dug and a forestation project was taken up and the construction of the two resorts of Mangrove & Sundari took place. The complex also houses several large ponds used for fish cultivation. Fresh fish and shrimps straight out of the ponds must be tried by all visitors. The credit of fine-tuning Henry Island into a holiday hotspot goes to the fisheries department of the state government which has set up many pisciculture projects here. The fisheries department has dug more than 50 ponds here. You will see trees such as gora, kankru, palm, naturally growing sundari and hetal throughout this island. Sundari Tourist Complex houses a watch tower, providing a panoramic view of the surrounding which is mind-blowing and lucky few can even spot wildlife like deer and wild pigs. You can view the vast green expanse of Mangrove forest of the entire Sundarban area from watch tower with Bakkhali beach at the distance, which is indeed splendid. It seems we were standing atop the mangrove forest in a quiet and peaceful place. 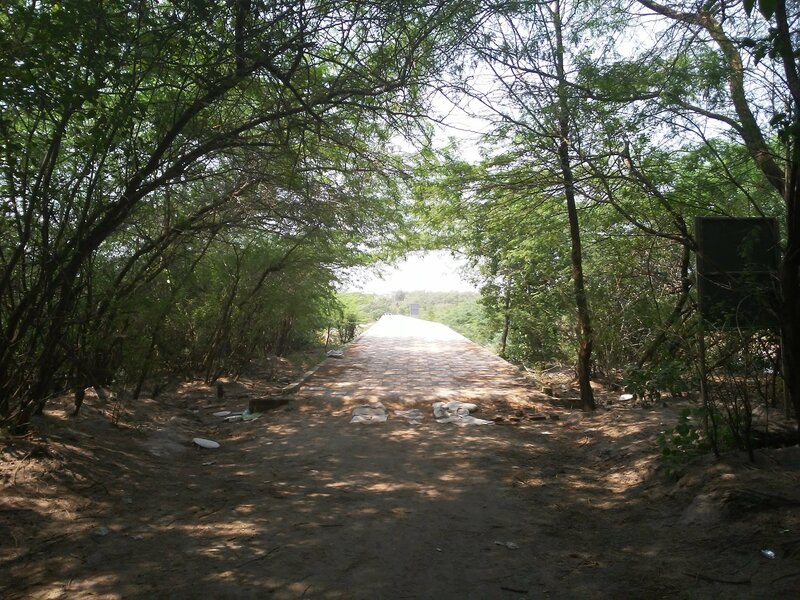 The brick laid road meanders through dense forest from the Sundari Resort, and from there a further 10-minute walk takes you to the Kiran Beach. You may walk up to the beach from the Sundari complex. The walk goes through a stretch of mangrove forest accessed by crossing a mini bamboo bridge. The Kiran Beach is a mixture of white sand and clay and is lined with casuarinas plantation with occasional mangroves. The white sand of this pristine beach is just feather soft. Chances are, you will have the beach all to yourself but the beach is a photographer’s delight. 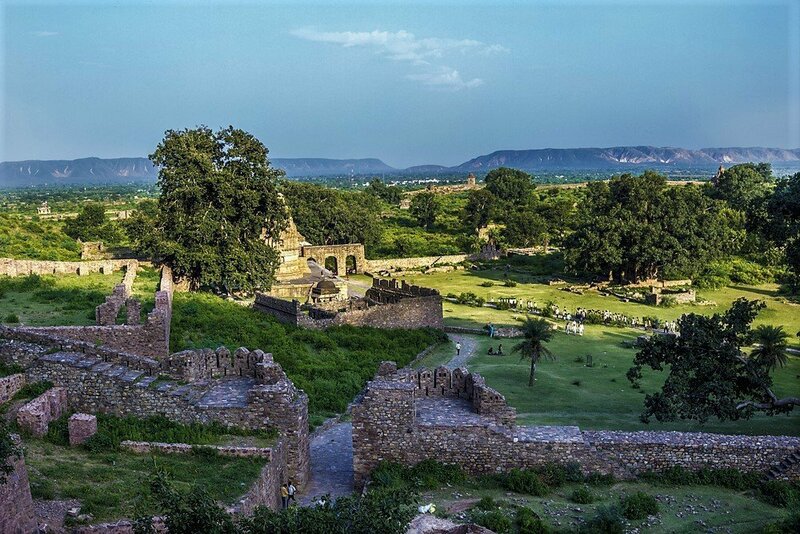 The panorama is simply photogenic where you can click a few fantastic snaps. There is no disturbance and you would be in the lap of nature. The crescent-shaped beach gave us perfect peace and serenity I was craving for so long. The sunset, especially, is spectacular here. The beach is not at all crowded. Even if you find a few on one part of the beach, you will unquestionably find a lone corner in another part. The sea faces high tides in the morning and low tides in the evening resulting in mind-blowing designs on the sand during low tides. It is a hard beach suitable for cycling. Driving on the beach is strictly prohibited. Sun was just at the top of our head and the weather was brilliant to dive into the water and have a sunbath. You will find a number of hawkers selling green coconut water You can just have a quiet and relaxing time on the beach sipping on coconut water. Plenty of seafood is available here to snack on. I have seen many beaches, but this beach is unique for its peaceful nature. Frazergunj is a prime hub for pisciculture in the country and houses a large harbor. 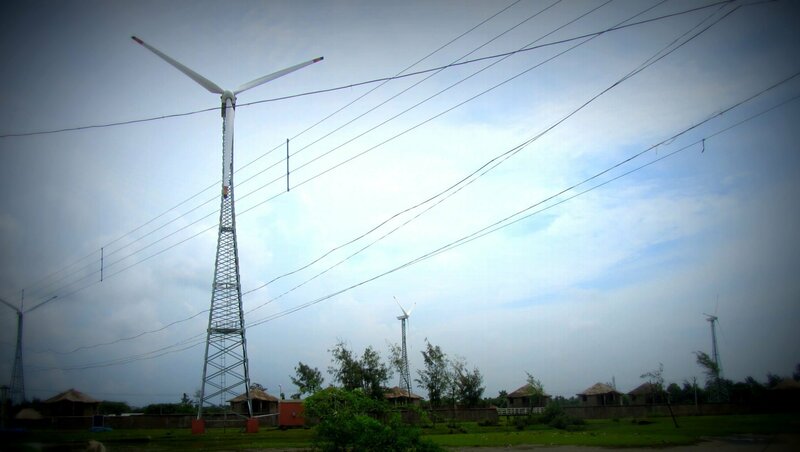 Frazergunj, is a mere 3km walk from Bakkhali with gently rolling waves and which is famous for its white sand beach and a lot of giant towering windmills as its landmark welcome you there. If you don’t have a car, you can take a rickshaw van or a motor van that would take you to Frazerganj fishing harbor through a short bumpy road. It will be a bumpy ride but an unforgettable experience for you. A short walk along a marshy road, past spinning windmills, will take you to the beach. Walk along the hard coast to the rocky embankment, where you can sit for hours watching the fishing vessels battle the waves. Numerous fishing boats, of all variety of shape and size, line up the harbor. It is a place for passionate activities with fishes being loaded and packed with ice. Benfish runs an auction center at the harbor. It is also a place where boats and nets are mended. Also, you can come across a few boats being worshiped by fishermen before taking their maiden voyage. Most likely you may come across fishermen mending their boats and nets, with their children playing in the beach. The coastal town is just as beautiful. You may also watch the sun rise behind the windmills before heading for the harbor. A century ago, Lt-Gov. of Bengal Andrew Frazer fell in love with this beach at one end of the Sunderbans. He was so drawn to this stretch of sand that he built a bungalow at Narayanitala, the nearest village. The bungalow by the sea, surrounded by coconut groves, became a talking point among the Englishmen in Calcutta. Frazer, however, could not fulfill his dream of converting Narayanitala, later Frazerganj was rechristened into a health and beach resort. The Frazerganj bungalow was engulfed by the advancing waters. Today, apart from the title, nothing remains of Frazerganj’s colonial past. You can see many dilapidated buildings, local people say this is the old structure of Frazerganj port building which is almost at the verge of collapsing, local people believe them to be the remains of Frazer’s famed bungalow, however, there are no concrete pieces of evidence to justify this story. 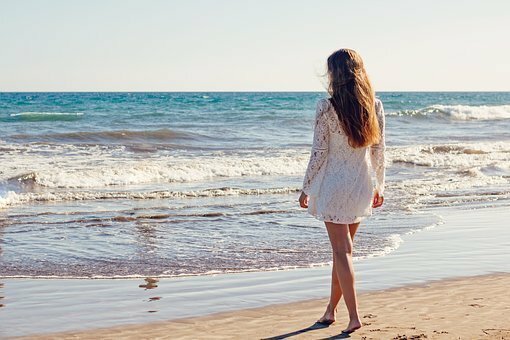 There is nothing to be disheartened, for the beach is captivating enough for a perfect weekend and more. Those with the stomach for adventure can take a roller coaster ride in the mighty Bay of Bengal, and explore near the exotic Janby Dweep. Frazerganj harbor is the launch pad for trips to the uninhabited Jambu Dip. It is a nature’s paradise in the heart of Bay of Bengal, but now entry to this island is restricted. Boating to Jambu Dwip is the most adventurous and thrilling experience that you will find in West Bengal. The waves striking the front end of the boat from the opposite direction and the boat moving up and down with the waves and the wind will be a fantastic experience. One can charter the motorized country boat at a nominal price of Rs. 1500 and enjoy the adventure. However, we had to omit to visit this place as we were advised by the hotel authority not to take the risky ride with a kid or aged person. That did not matter more given the wonderful weekend trip we had. The WBSTC bus starts from Esplanade at 7 am. The bus returns from Bakkhali at 1 pm. The journey takes around 4 to 5 hours and the one-way fare is Rs 64. The nearest rail station is at Namkhana. There are regular trains from Sealdah via Lakshmikantapur and Kakdwip to Namkhana. Train fare is around Rs 25 and the journey takes around 3 hrs. From Namkhana station you will get a van rickshaw to reach the place from where you need to cross Hatania-Doania river in a small boat. Van fare is Rs 5 per head or Rs 25 if you reserve a van and for crossing the creek you need to pay Rs 1. Then from the bus stand, one can get buses for Bakkhali which take around 45mins to 1hr and their fare is Rs 16.50 or you may reserve a Maruti van for Rs. 400/-. The Bakkhali bus stand is very close to all the hotels and just a 5 min walk from the beach. When it comes to food, Bakkhali is a favorite hunt for the fish-loving Bengali tourist. 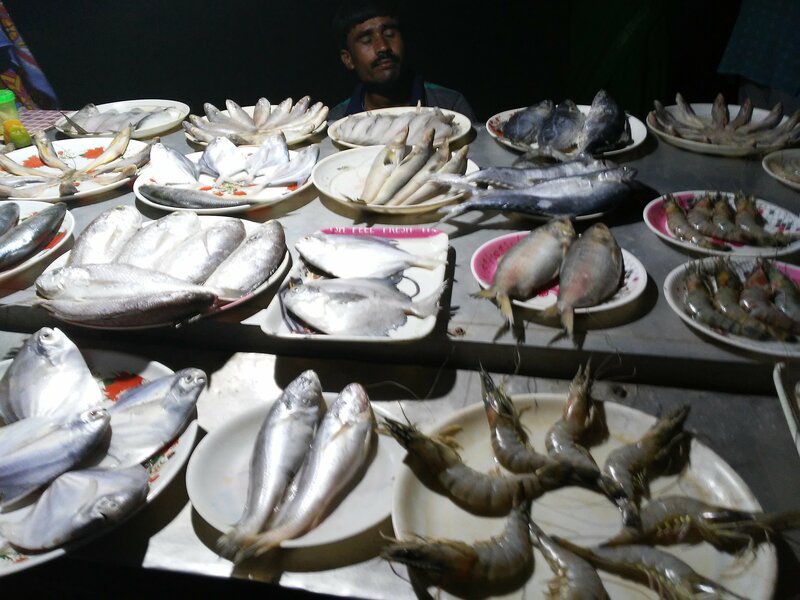 Pomfret, Bethki, Ilish, Pabda along with prawns and crabs are available at a throwaway price at the roadside eateries. These food stalls and restaurant cooks the freshly caught fish purchased from the sea beach. Do try out the fish and seafood at the Sagar Kanya, a small eatery on the road connecting Bakkhali Bus – stand to the beach. There are ample accommodation facilities in Bakkhali. But the best ones are Bay View Tourist Lodge and West Bengal Tourism Development Corporation’s (WBTDC) Bakkhali Lodge. But woefully, none of the hotels in Bakkhali have a good view of the sea because of the abounding growth of casurina trees along the beach. If you stay near the harbor, Sagar kanya, run by Benfish, is a good bet. Bakkhali has more lodges than Frazerganj, including Bakkhali Tourist Lodge (run by WBTDC), Amarabati Hotel, Balaka Hotel, and Hotel Babylon. Almost all the hotels have their own restaurant. There are 3 guest houses on Henry Island. SUGGESTED: If you wish you can stay there too. The lodges are named Mangrove, Sundari and Bani. Sundari has a watchtower on the roof is very close to the sea beach. These lodges belong to the State Fisheries Department of West Bengal. For reservations, contact: State Fisheries Development Corporation, Bikash Bhavan ☎+91 33 2337 6470. After a hectic day tour, we took a chair near the beach to dip our legs in the sand with the sand currents kissing our legs and watching some local boys singing rural songs. We could feel the very peaceful existence of beach, air, moonlight. We looked at the distant sea, and found small fishing boats in the moonlight sea, working for their ends. We felt, yes, we should come back again here for enjoying another beautiful evening at the beach in future trips. Watch the video for few glimpses of the tour. To know more about our awesome and diverse country, do visit us again. I shall be back very soon with more interesting stuff from the different part of our country. Until then Stay tuned to TravelEscape to keep traveling and keep exploring. 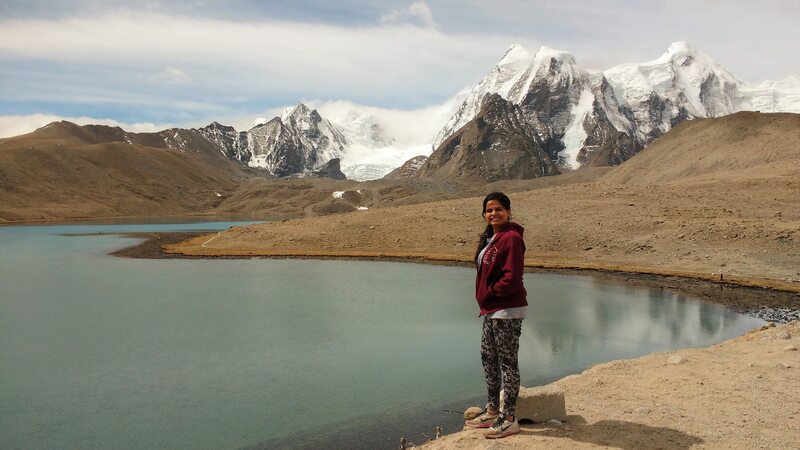 Dear readers, I hope the blog post answered some of the questions about Bakkhali travel guide. Do you still have a question? Feel free to comment or rate us by clicking the 5 stars.